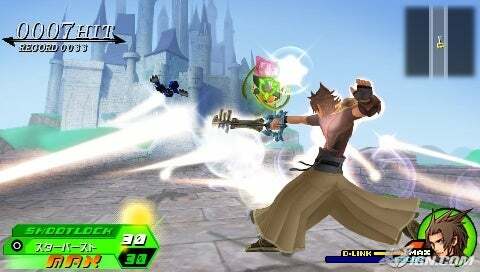 Kingdom Hearts: Birth by Sleep is already out in Japan on the PSP, but a North American or European release date isn’t anywhere in sight. The extra wait might be worth it though as the localized version of the title might have the balance of the game tweaked and possibly a new mode. Tetsuya Nomura was asked if they were planning on altering the game at all during localization. He pointed out that the bosses in the Japanese version are a little too weak, so he thinks he might buff them up a bit for the US release. He also wants to gimp the Mega Flare spell in the title which is over powered in the Japanese release. Nomura also mentioned adding a mode called “Critical Mode” into the game, but didn’t go into details what exactly the mode would be. Possibly a extra difficulty or something of the sort? As of right now Kingdom Hearts: Birth by Sleep isn’t even announced for North America or Europe, but we can probably all assume at this point it is coming. It’s not really much of a surprise to me to be honest. Both Kingdom Hearts and Kingdom Hearts II were tweaked before being released in the West, heck I think even 358/2 Days and Chain of Memories were as well, and this was the cause of the Final Mixes and Re: CoM. Still, this game will be worth the wait, tweaking or no tweaking. What da fu? Stop doing this to me Mr. Nomura!!!! !